Transfer cabooses, such as no. 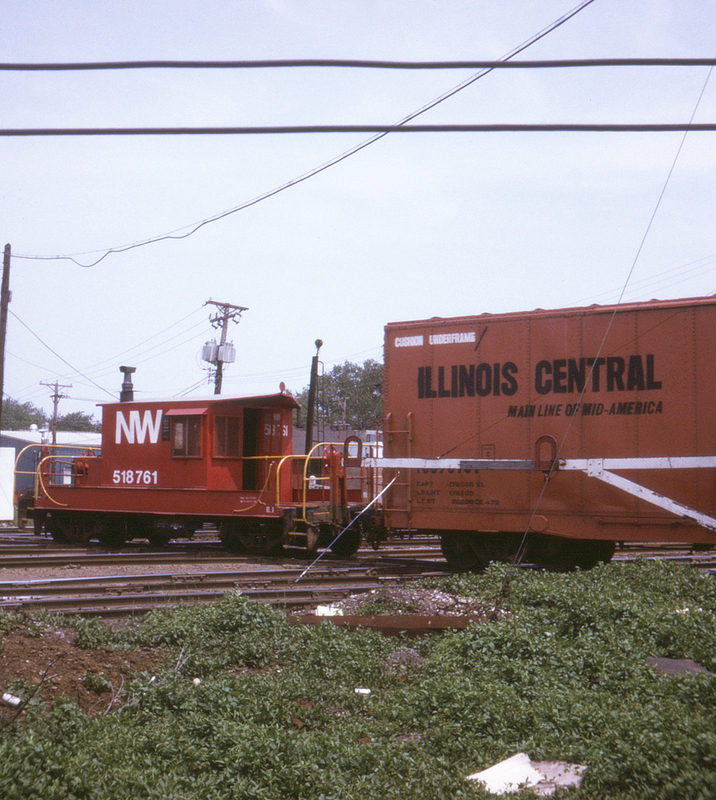 518761 here, were a common sight in the Chicago area, as they were often cobbled together from otherwise unneeded rolling stock and did not need to withstand either the strains of mainline service or the stricter requirements of road service union contracts. This transfer run on former Nickel Plate Road rails is southbound through Pullman Junction in southern Chicago, crossing the Chesapeake & Ohio/Belt Railway of Chicago and Chicago, Rock Island & Pacific lines through the junction.